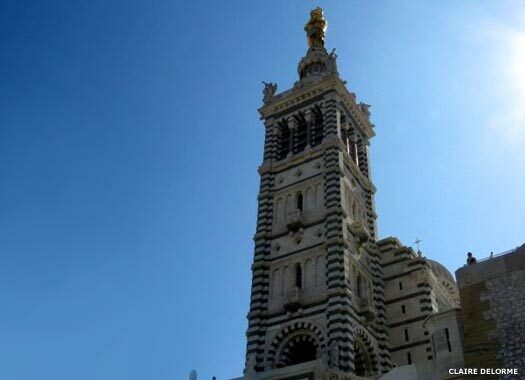 Notre Dame de la Garde Basilica (the Basilica of Our Lady of the Watch) majestically overlooks the whole of central Marseilles, in the Bouches-du-Rhône in Provence. 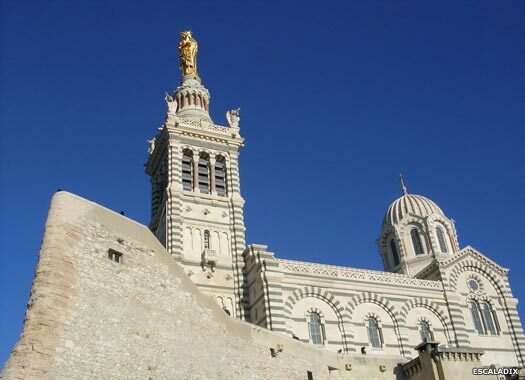 This ornate basilica consists of two chapels, one neo-Byzantine and the other neo-Romantic, and it is situated at the highest natural point in Marseille, a limestone outcrop that stands 162 metres (532 feet) high on the south side of the Old Port which can be seen from almost every point in the city. 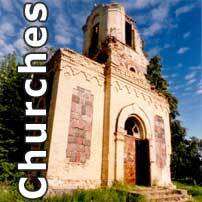 As well as being a major local landmark, it is the site of a popular annual pilgrimage every Assumption Day (15 August). 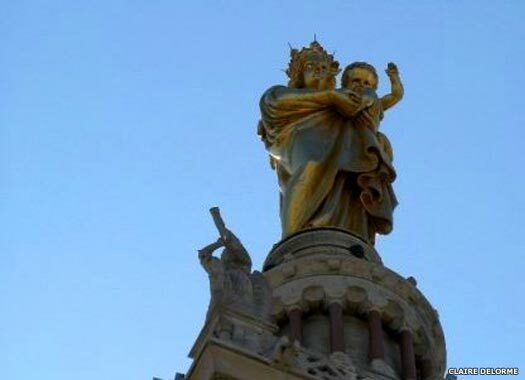 Local inhabitants commonly refer to it as la bonne mère ('the good mother'). 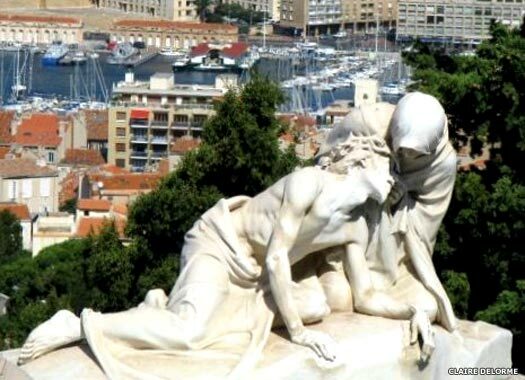 Marseilles has been a seaport since it was founded by the Ancient Greeks in about 600 BC. In 1214, the abbot of St Victor allowed a hermit, Master Peter, to construct a chapel on the hill, and he dedicated it to Our Lady of the Watch, the traditional guardian of seafarers. Over the years the chapel became an object of pilgrimage for Christians, and in 1477 a new chapel was built on the site of the old one. In 1525 the French king, Francois I, built a fortification on the hill alongside the chapel to guard the entrance to the port (the door and drawbridge have been preserved to this day). The new chapel was consecrated in 1544 after being altered and enlarged, but in the nineteenth century a replacement for the old chapel was commissioned. 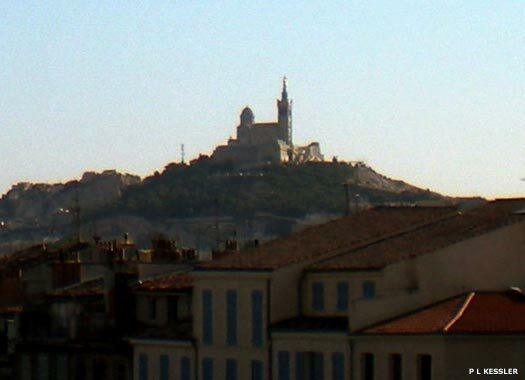 Saint Charles Eugene de Mazenod, bishop of Marseilles was the driving force for this new and grand project, and the design was supplied by the architect, Jacques Henri Esperandieu (1829-1874), although the Ministry of War first had to be persuaded to abandon its fort to make way for the much larger basilica. Work commenced in 1853, when the foundation stone was laid on 11 September, and was completed in 1864, with the consecration taking place on 4 June 1864. The basilica's style was matched to that of the Cathedral of Sainte Marie Majeure on the opposite side of the port, and its dedication was the same as the previous chapel on this site. The salamander badge of Francois I can to be found within the basilica's north porch, and the construction is surmounted by a sixty metre high (197 feet) belfry which is topped by a huge statue of the Virgin and Child, visible across much of the city and for miles out at sea. Construction of the basilica required a massive 170,000 tons of material, including twenty-three shiploads of marble and porphyry from Italy. 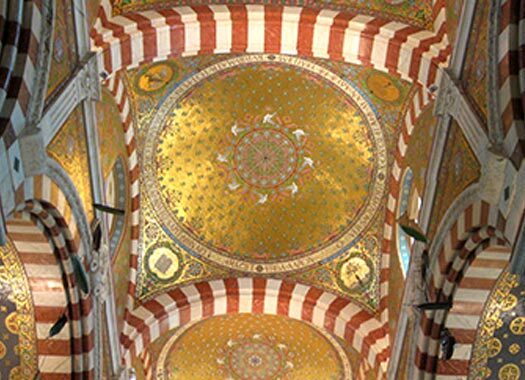 The interior is decorated with inlaid marble, mosaics and murals. Many of the walls are covered with hundreds of ex-votos, including paintings, plaques, model boats, war medals and even football shirts given by players and supporters of Olympique de Marseille, the city's football team. Three photos on this page contributed by Claire Delorme, and one used under the GNU Free Documentation Licence.